On KidsUganda’s Adventures in Service 2010 trip, ten high school age participants discovered the male boarders had moved into the same small converted classroom that was once the girls’ dormitory. Those students returned to the states and decided it was time to give a dorm to the boys. They founded the KidsUganda Youth Board, and began fundraising. On October 29, 2011, the boys vacated their small and congested dorm and moved into their newly constructed home. Patrick Walusimbi shared the above photos from moving day with KidsUganda. "The boys," he wrote, "would like to express their love, joy and appreciation to all of the friends and supporters who helped make this dream come true." The boys’ now live in their own spacious dormitory, away from the pressures to drop out of school and financially support their families. For most, this is the first time they are living in a building that has running water and electricity. Maranatha honored the KidsUganda Youth Board by naming the boys’ dormitory ‘K.U. 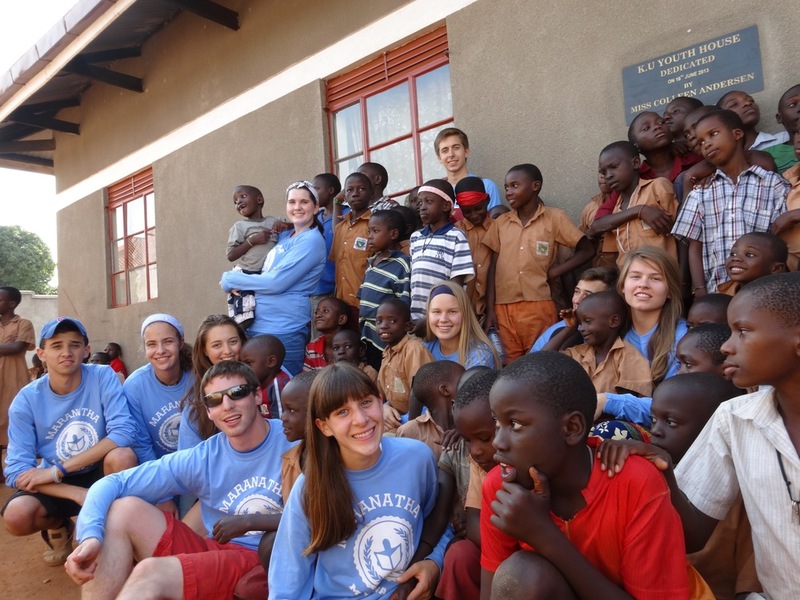 Youth House.’ On the 2013 KidsUganda Adventures in Service youth trip, Youth Board founder, Colleen Andersen, dedicated the dormitory. In her speech, Colleen thanked the Maranatha students for inspiring her and her peers. She explained, not only had the new dormitory bettered the lives of boys at Maranatha, but the joy of the project had changed many Youth Board members' lives as well.